Parents – don’t let your kids have their phones in their rooms at night! Some things are not rocket science. How to tie shoe laces, for example – easy when you know how, obvious, in fact. So why, oh diddly why in a recent report, have we discovered that pupils are just too tired to work at school because they have been up half the night on social media? A study of more than 800 school children in Wales from the Wales Institute of Social and Economic Research Data (WISERD) found that one in five between the ages of 12 and 15 wake up on school nights to check social media. And it gets worse. 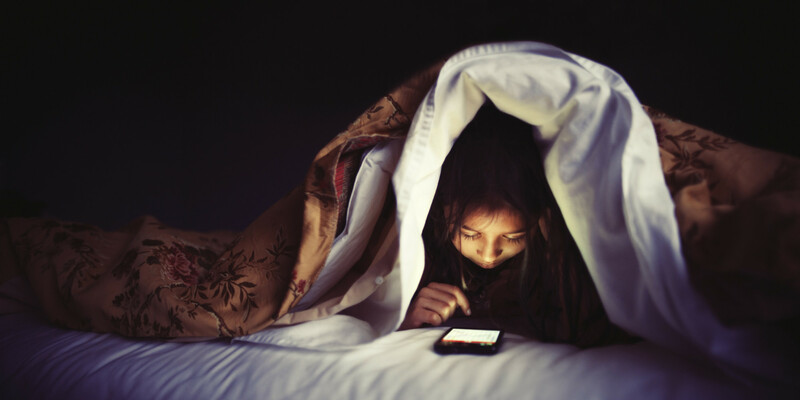 58% of the 12-13 year olds surveyed said they were too tired for school the next day because they had been checking their devices in the night. seconds – I am, you are, we all are. That’s why we have to have rules. No phones in the room at night for our children means they won’t look at them – it really is that easy. So parents, listen up – you are in charge, you have the veto card here – play it. No phones in the room at night. You know, like a comfy pair of shoes for that long walk home, it makes sense. This ain’t rocket science. It’s just simple, essential parenting. This week my column for the Gloucestershire Gazette is about faith schools in the UK and how it’s now time to question their role in the state education system, and whether, in reality, they are discriminatory. This week my column for the Gloucestershire Gazette is about playing out and how, in the light of a new initiative in Dursley to get kids playing outside more, parents should switch off the X-Boxes and get their children outdoors. This week my column for the Gloucestershire Gazette is about the kidnapping of the 230 Nigerian schoolgirls and how all of us, world-wide have a responsibility to demand that action be taken to bring them back to their parents. Because the more we speak up, the less devastating crimes like this will happen again. Ever. This week my column for the Gloucestershire Gazette is about the recent Centre Parcs advert ban and how, as a nation, we do actually have the ability to think for ourselves. This week my column for the Gloucestershire Gazette is about parking by some parents outside schools and how, with the escalation of irresponsible driving, if they are not careful, a child will get hurt.